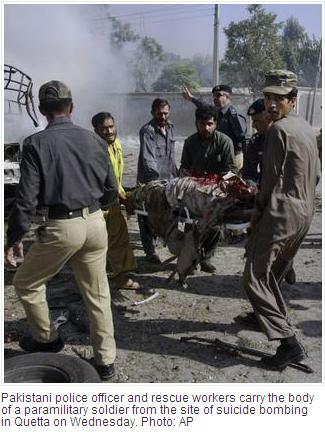 Medium Islamic blast took away five injuring thirty in Pak Peshawar. High chances for more casualties. Monday 19th September 2011 | Shawwal 20, 1432 | Dawn News. Fire Fire everywhere...Islamic peace where ever. PESHAWAR: A bomb killed at least five people and wounded 28 others at a market selling CDs in the northwestern Pakistan city of Peshawar on Monday, officials said. “We have received five bodies and 28 wounded people from the blast site,” Doctor Rahim Jan, who works at Peshawar’s main government hospital, told AFP, adding that there was one woman among the dead. 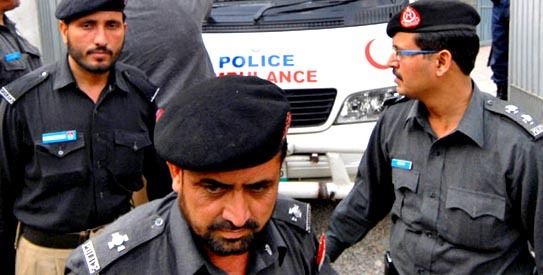 Provincial government minister Bashir Bilour confirmed the death toll and told AFP at the hospital that police had informed him that the bomb was probably planted in a motorcycle. Jalalud Din, a 35-year-old lawyer, who received head injuries from the blast, said he was buying sweets for his children. “There was a huge blast as I was buying candies for my kids. I lost consciousness after my head struck a wall,” Din said. Earlier Monday, a Taliban suicide car bomber flattened the house of a senior counter-terrorism police officer in Pakistan’s financial capital Karachi, killing eight people including six policemen. Nearly 4,700 people have been killed across Pakistan in attacks blamed on Taliban and Al-Qaeda-linked networks based in the country’s northwestern tribal belt since government troops stormed a radical mosque in Islamabad in 2007. Courtesy : Dawn | AFP. Allah followers preferred a Car this time to make a Jihadi device to blast for Islamic Peace . What a depth of Islamic Jihad. More than three feet penetration of Islam under the earth. 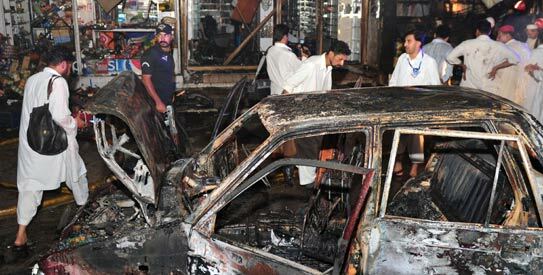 KARACHI: A car-borne Taliban suicide bomber flattened the house of a senior counter-terrorism police officer in Karachi on Monday, killing eight people including six policemen. Senior Superintendent Aslam Khan, who was unhurt in the attack but whose home was destroyed, told AFP he had been threatened by the Pakistani Taliban and knew that he was the target. The militant group claimed responsibility for the attack and said Khan had been targeted for arresting, torturing and killing Taliban members. Khan heads the counter-terrorism unit of the Police Crime Investigation Department in Karachi, investigating Islamist militant cells in the port city of 18 million people, which is a vital hub for Afghan-bound Nato supplies. “It was a car bomb attack on my house,” he said. “I was receiving threats from Tehreek-e-Taliban (TTP). Taliban are involved in this attack.” Several neighbouring houses were also wrecked in the attack, an AFP reporter saw, with four cars being badly damaged and a two-metre deep crater left in front of Khan’s home. An AFP reporter at the scene saw rubble, mud and pieces of glass scattered over a large area in the upscale residential neighbourhood. “Eight people including six policemen have been killed and several others were wounded,” Shoukat Hussain, another senior police officer, told AFP. “A child and a woman were also killed. It was a car suicide attack.” Speaking to reporters outside the remains of his one-storey bungalow, Khan said: “I woke up from sleep and saw fire around. I ran towards the other rooms of the house and saw my family safe but bewildered. 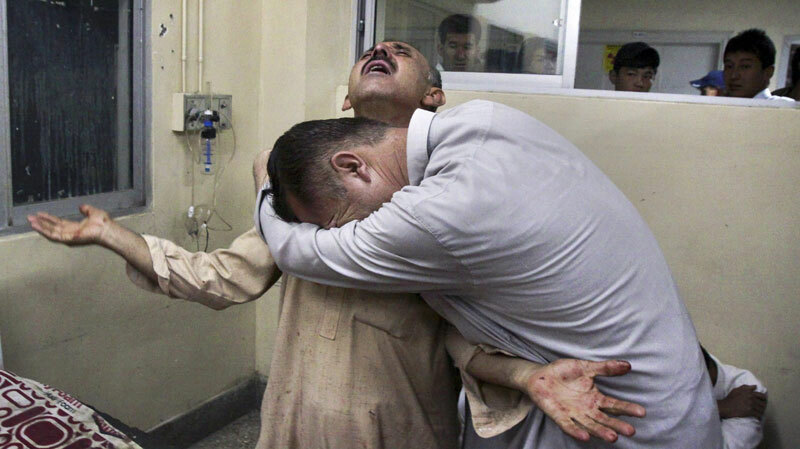 “This was a cowardly act of Taliban. I am not scared of Taliban. Let me tell you that I will not spare them in future.” Karachi city police chief Saud Mirza confirmed that Khan had received TTP threats, including one recent written threat. “We claim responsibility for the attack. Aslam Khan has killed a number of our colleagues and also arrested and tortured many more,” TTP spokesman Ehsanullah Ehsan told AFP in a phone call from an undisclosed location. “He was on our hit list and he is still on our hit list,” Ehsan said, giving names of several other police and crime investigation department officials also targeted. “They will be killed soon,” he vowed. 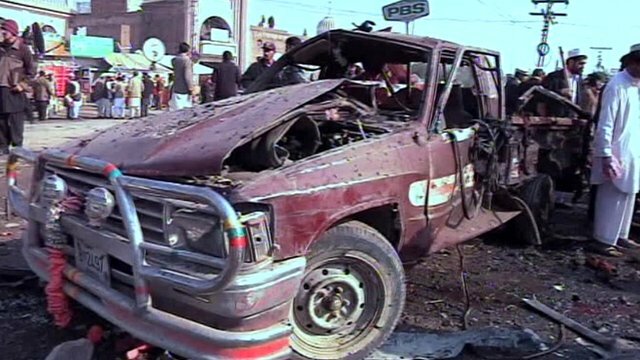 The TTP has members across the country and the attack was planned by a local branch, Ehsan added. Witness Naeem Shaikh said he was taking his children to school when he heard a huge explosion. “I went across a lane and saw this house destroyed and huge flames around it,” said Shaikh, who lives in the area. He saw the bodies of a boy, later identified as a second-year school pupil (aged eight or nine), and his mother lying near the house. “The boy’s schoolbag was lying abandoned nearby,” Shaikh said, choking. Karachi, Pakistan’s economic hub, is currently undergoing its worst ethnic- and politically-linked unrest in 16 years, with more than 100 people killed in one week alone last month. The gang wars have been linked to ethnic tensions between the Mohajirs, the Urdu-speaking majority represented by the Muttahida Qaumi Movement, and Pashtun migrants affiliated to the rival Awami National Party. The nationally ruling Pakistan People’s Party, which was elected in 2008 after nine years of military rule, insists that civilian authorities are capable of controlling the bloodshed, despite calls for military intervention. Courtesy: Dawn | AFP | Agencies. 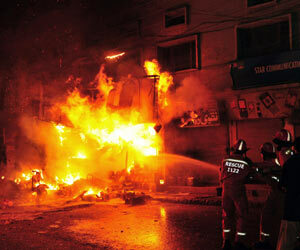 Many killed in Pakistan’s Quetta blast. Source : World Bulletin – The attack targeted and wounded a brigadier of a paramilitary unit involved in Pakistan’s capture of Younis al-Mauritani and two other al Qaeda operatives in Quetta in an operation announced on Monday. Suicide bombers targeting a paramilitary brigadier killed at least 20 people in the Pakistani city of Quetta on Wednesday, apparently to avenge the capture of an al Qaeda leader, a security official said. The attack targeted and wounded a brigadier of a paramilitary unit involved in Pakistan’s capture of Younis al-Mauritani and two other al Qaeda operatives in Quetta in an operation announced on Monday. “Our fidayeen (suicide bombers) have carried out this attack. It is a revenge for the arrests of our brothers in Quetta,” Taliban spokesman Ehsanullah Ehsan told Reuters by telephone from an undisclosed location. “This (Wednesday’s) attack has all the hallmarks of the Taliban. It seems to be revenge for the arrest of al-Mauritani,” said a senior security official. 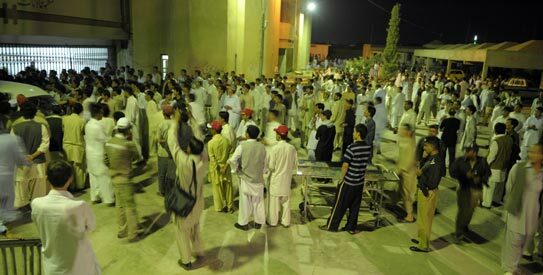 Intelligence officials put the death toll from the Quetta attack at about 25. Sixty-one people were wounded. The head of one of the suicide bombers had been found, and the features indicated he may have been from Afghanistan’s Tajik ethnic group, said the senior security official. One of the suicide bombers blew himself up in a vehicle packed with explosives near the car of the deputy head of the paramilitary Frontier Corps in Baluchistan, Farrukh Shehzad. Shehzad’s wife was killed, police said. 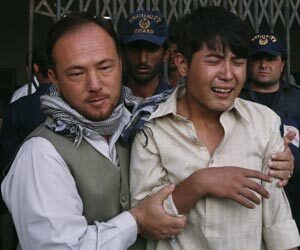 The other suicide bomber struck inside his house. The dead also included a colonel in Pakistan’s paramilitary forces and seven of Shehzad’s guards. The explosions brought down the walls of his house and nearby offices. ANITA JOSHUA | THE HINDU. 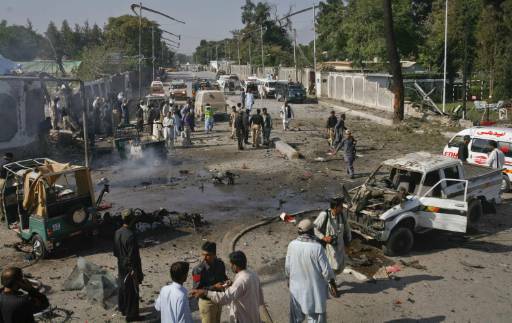 As many as 24 people were killed and 70 injured in two suicide attacks in quick succession at the residence of the Deputy Inspector General (DIG) of the Frontier Corps (FC) in the high security Civil Lines area of Quetta on Wednesday morning. 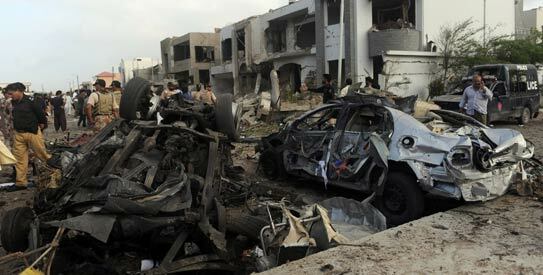 According to the police, the first suicide bomber rammed his car into a FC vehicle parked outside the DIG’s residence. In the melee that followed, the second bomber entered the residence and detonated himself. The dead includes the wife of the DIG and a FC officer. 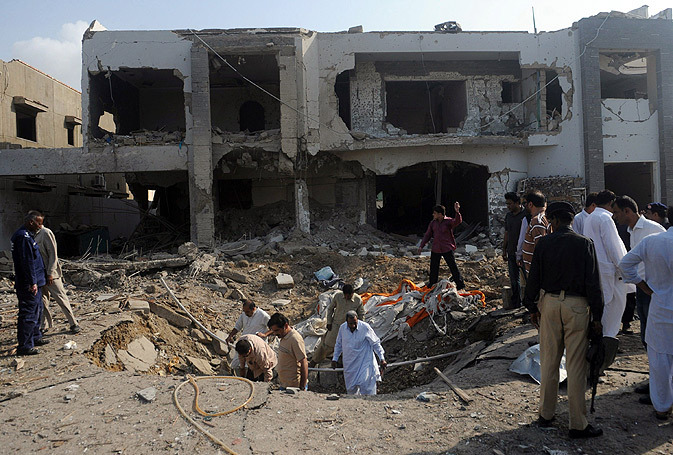 Since the house is located near the Commissioner Office, traffic was heavy at the time of the attacks and several security personnel — present in the area in strength in view of the restive nature of the entire Balochistan province — were killed in the twin blasts. An identification card retrieved from the remains of one of the bombers revealed him to be an Afghan national. Given the intensity of the blasts and the nature of injuries sustained by some of those battling for their lives in hospitals across the city, police fear that the death toll could rise. 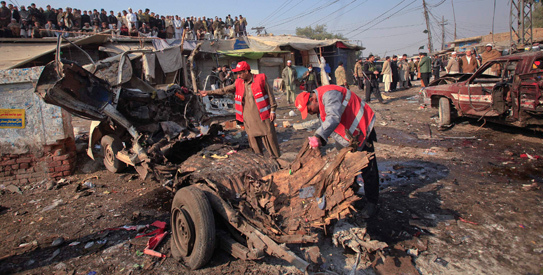 The Taliban have reportedly claimed responsibility for the blasts. 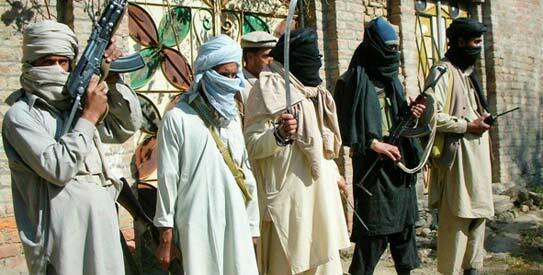 The attack is being linked to the role played by the FC in nabbing three al-Qaeda operatives in Quetta recently. The announcement of their arrest was made on Monday by the Army without disclosing when exactly the trio were picked up. 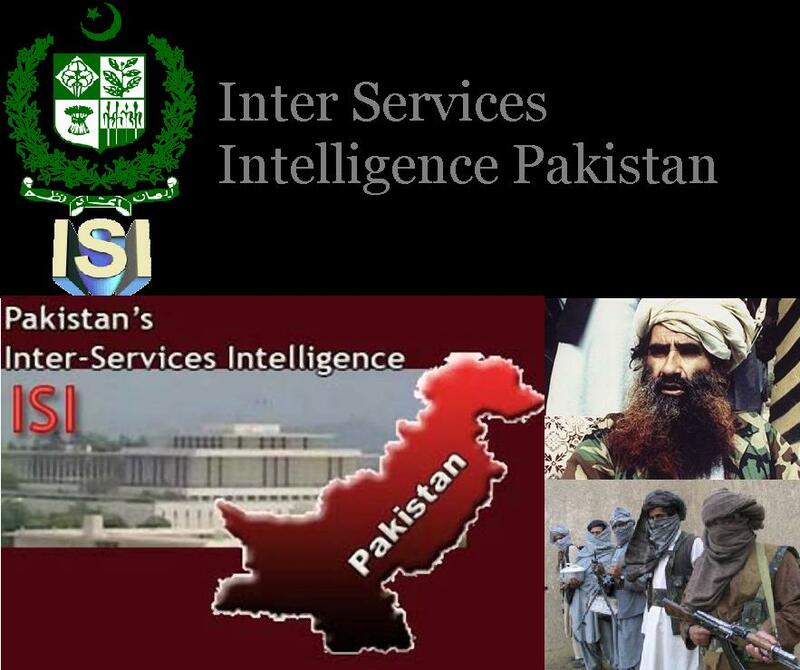 According to the Army, the FC had coordinated with the ISI in the “intelligence driven operation” to nab the three operatives including Younis Al Mauritani who was reported to have been tasked directly by Osama bin Laden to target U.S. and European economic facilities. The Army also acknowledged the technical support provided by the CIA in these arrests. The U.S. and the U.K. have condemned the attacks through their respective diplomatic missions in Islamabad. In a statement, the U.S. Embassy said: “Nothing can justify immoral and indiscriminate attacks against innocents including Pakistan’s security forces.” Saluting Pakistan’s “brave security forces”, the statement reiterated U.S. resolve to stand with the people of Pakistan as they work for a future free of the violence and destruction wrought by al Qaeda and associated groups. Courtesy : AP | Reuters | World Bulletin | The Hindu | Agencies. ISLAMABAD — A battered al-Qaida suffered another significant blow when Pakistani agents working with the CIA arrested a senior leader believed to have been tasked by Osama bin Laden with targeting American economic interests around the globe, Pakistan announced Monday. Younis al-Mauritani’s arrest – made public six days before the 10-year anniversary of the 9/11 attacks – also point to improved cooperation between two uneasy anti-terror allies after the rancor surrounding bin Laden’s killing. Al-Qaida has seen its senior ranks thinned since bin Laden was killed May 2 in a raid by U.S. Navy SEALs in Pakistan without the knowledge of local authorities. Atiyah Abd al-Rahman, the terror network’s No. 2, was killed in a CIA missile strike last month. Pakistan’s unusual public announcement of close cooperation with the U.S. spy agency appeared aimed at reversing the widespread perception that ties between the CIA and Pakistan’s Inter-Services Intelligence agency had been badly damaged by bin Laden’s death. The Pakistanis accused the Americans of violating their sovereignty with the raid, while Washington was angry the terror leader had been found in a house in a military garrison town. 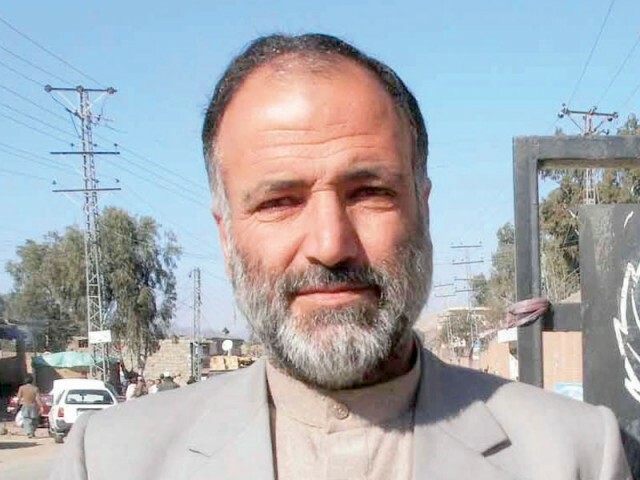 The Pakistani military said the arrest of al-Mauritani and two other Qaida operatives took place near the Afghan border in the southwestern city of Quetta, long known as a base for militants. It did not say when. The arrests were carried out in the past two weeks, according to a U.S. official speaking on condition of anonymity to discuss intelligence matters. The capture of an al-Qaida operative inside Pakistan has become rare in recent years: most targets of CIA operations in the country have been killed by drone aircraft in a relentless series of operations that started to increase in 2008. His capture is likely to create chaos within al-Qaida: even if he does not reveal compromising information, that possibility is almost certain to force the network to alter plans, move operatives and make a variety of other sudden changes, damaging its ability to carry out attacks. “This operation was planned and conducted with technical assistance of United State Intelligence Agencies with whom Inter-Services Intelligence has a strong, historic intelligence relationship. Both Pakistan and United States Intelligence agencies continue to work closely together to enhance security of their respective nations,” the military said in a written statement. Al-Qaida’s center of operations is believed to be in the lawless tribal areas of northwest Pakistan, many hours from Quetta, a large city that is home to both the Taliban’s ruling council and a significant Pakistani military presence. The statement said al-Mauritani was mainly responsible for al-Qaida’s international operations and was tasked by bin Laden with hitting targets of economic importance in America, Europe and Australia. It said he was planning attacks on gas and oil pipelines, power generating dams and oil tankers that would be hit by explosive-laden speed boats in international waters. 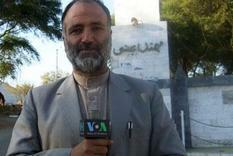 It named the other two detainees as Abdul-Ghaffar al-Shami and Messara al-Shami. In its statement, the Pakistani army also described them as senior operatives. 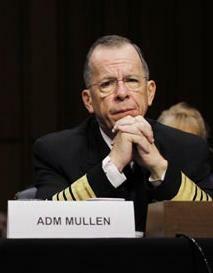 The U.S. has said it doesn’t know of any specific al-Qaida plot to attack the U.S. ahead of Sept. 11. The U.S. provided “critical lead information and technical assistance in working with Pakistan” against al-Mauritani, another American official said on condition of anonymity, in order to discuss intelligence. Al-Mauritani is considered “a seasoned, senior operative” trusted by the group’s top leaders, who the U.S. believes “played an absolutely central role in planning and coordinating al Qaeda’s operations in Europe,” with plots that targeted both European and American interests, the official said. Since the 2001, attacks, Pakistan’s spy agency has cooperated with the CIA to arrest scores of al-Qaida suspects, most of whom were handed over to the United States. “This reflects how Pakistan and the United States working together can deal an effective blow to the terrorists,” said Pakistan’s ambassador to the U.S., Husain Haqqani. He said the intelligence cooperation had been restored almost to levels prior to a series of U.S.-Pakistan diplomatic clashes. Many top al-Qaida commanders are still believed to live in Pakistan, and getting Islamabad’s cooperation in cracking down on the network has been a top American goal since 2001. 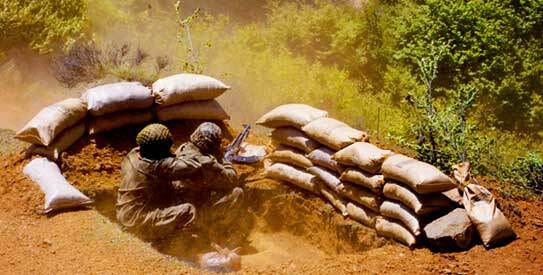 But there have been persistent suspicions that the country was protecting militants. The fact that bin Laden was killed in an army town close to the capital, Islamabad, led to fresh doubts over Pakistan’s commitment. Michael Vickers, the Pentagon’s under secretary of defense for intelligence, told The New York Times in a recent interview there were perhaps four important al-Qaida leaders left in Pakistan, and 10 to 20 leaders over all in Pakistan, Yemen and Somalia.